I am not an advanced nymph tier. Don’t have to be. 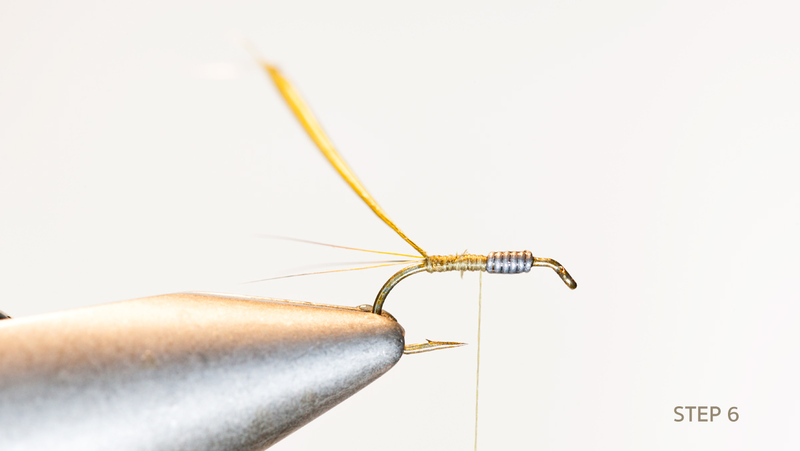 This pattern and Frank Sawyer’s classic Pheasant Tail Nymph is all I need to fish a Baetis or BWO hatch. 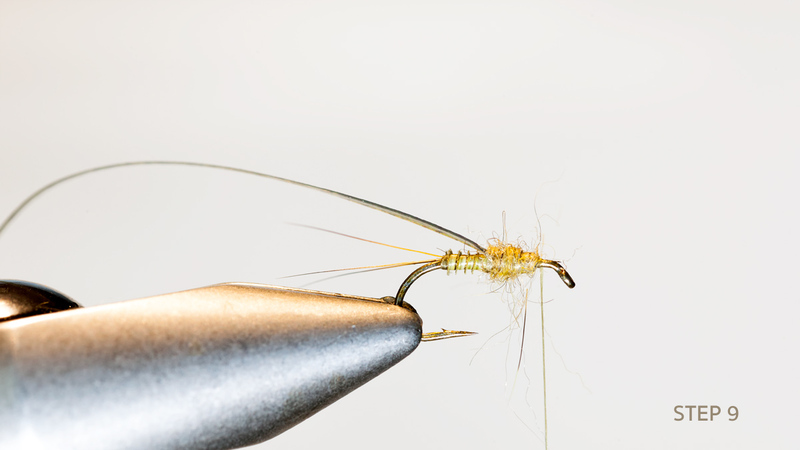 This Step-by-Step guide helps you tie a basic but very effective Baetis Nymph. 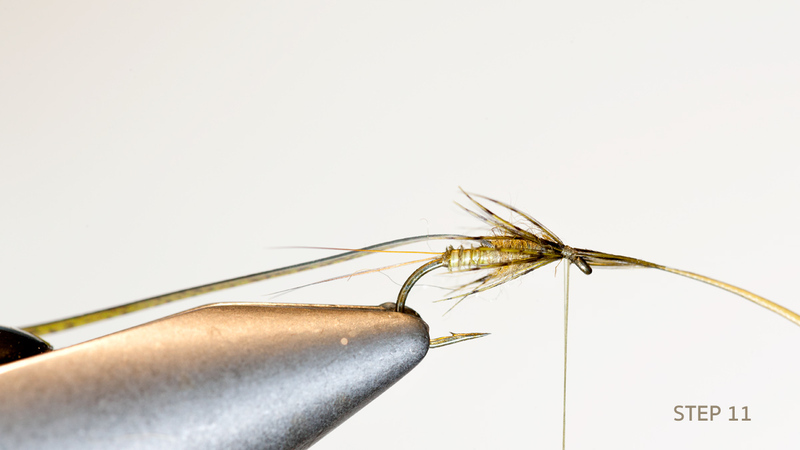 The fly is really very basic and a known pattern that anyone should have in their fly box. 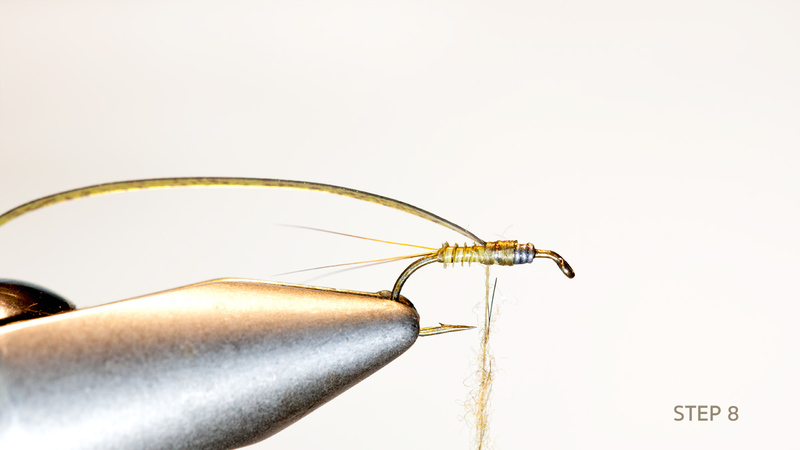 The pattern can be adapted to any swimming nymph, which is pretty much all the BWOs. 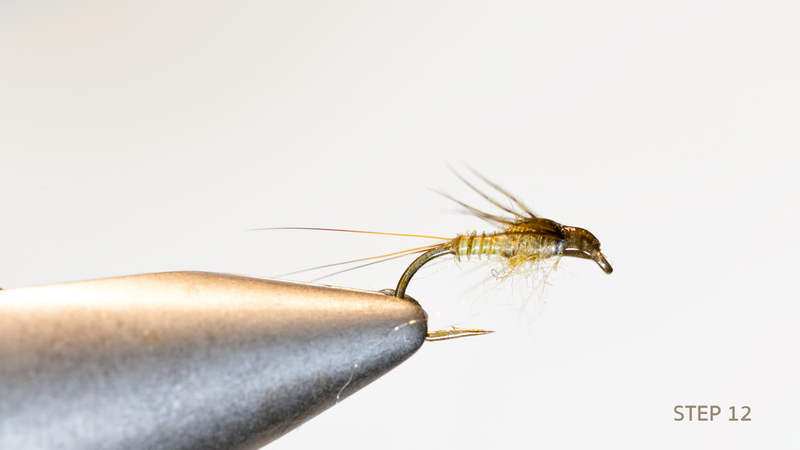 This is an imitation of the Baetis Rohdani – the most common mayfly in my waters. 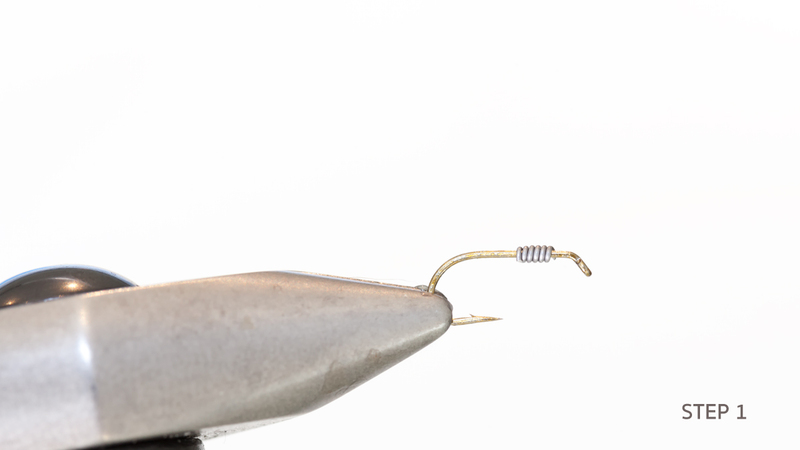 This fly is durable and can be tied in many ways. 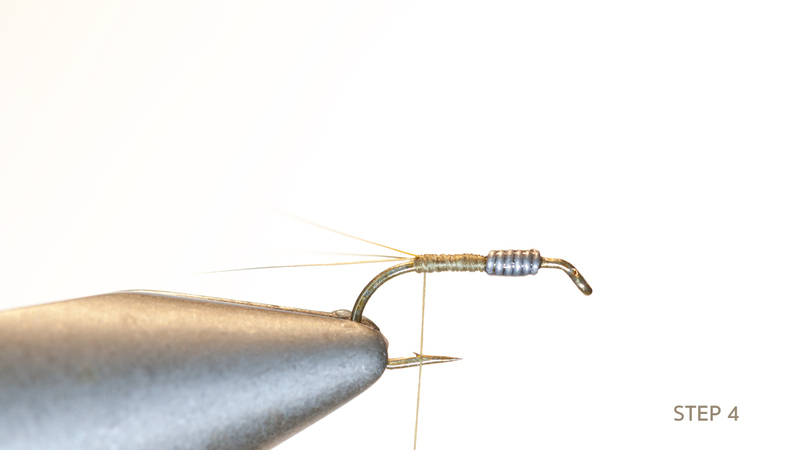 I like to use a turkey biot or synthetic nymph skin. The complete materials list is found here. 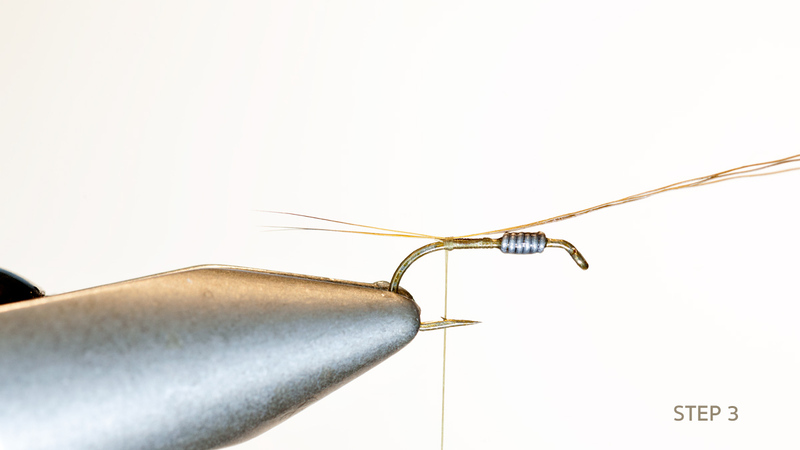 Apply super glue to fix the lead in the thorax position.Tie in the thread and position the bobbin in line with the barb of the hook to prepare for tying in the tails. 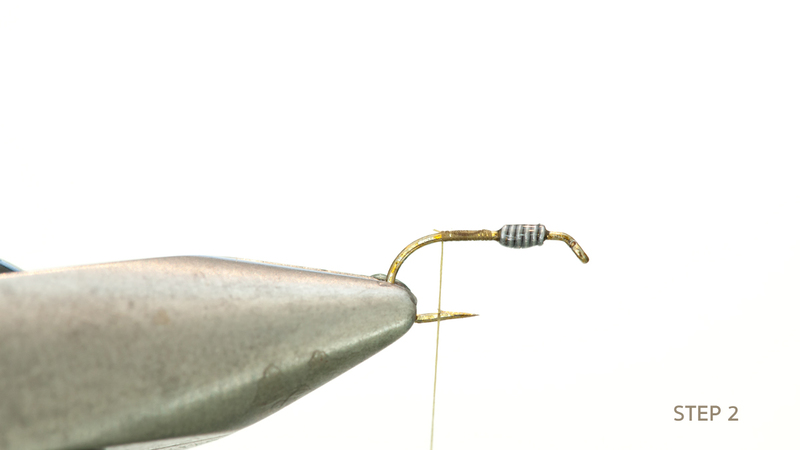 The Baetis has three rather long tails – usually I measure them to 2/3 of the hook shank/body length. Here the tail is a bit to long. Tie in the tail material. Here I have used Elk hair dyed olive. You might use anything for tails really, but I love to use both Elk and Badger for my nymphs. Remember to split the tails and start building a tapered body. 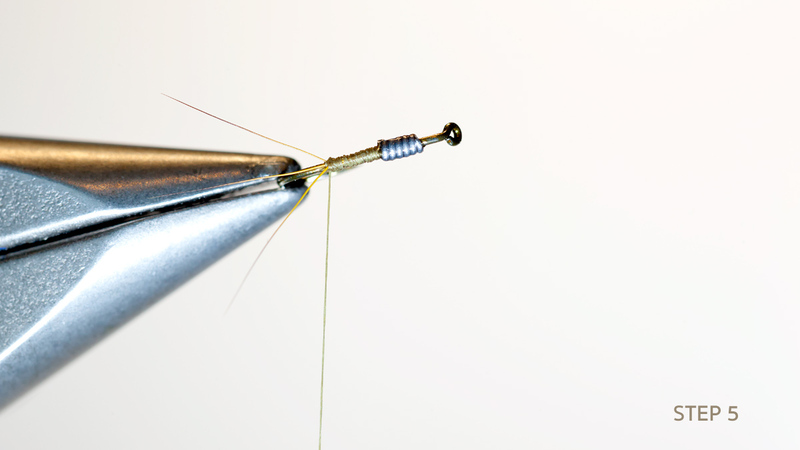 Bring the thread to the back of the abdomen, and tie in Olive Turkey Biot (the colors are messed up in this SBS guide). Wrap the turkey biot to the starting point of the thorax. Clean up after cutting the biot. Tie in the wing case. 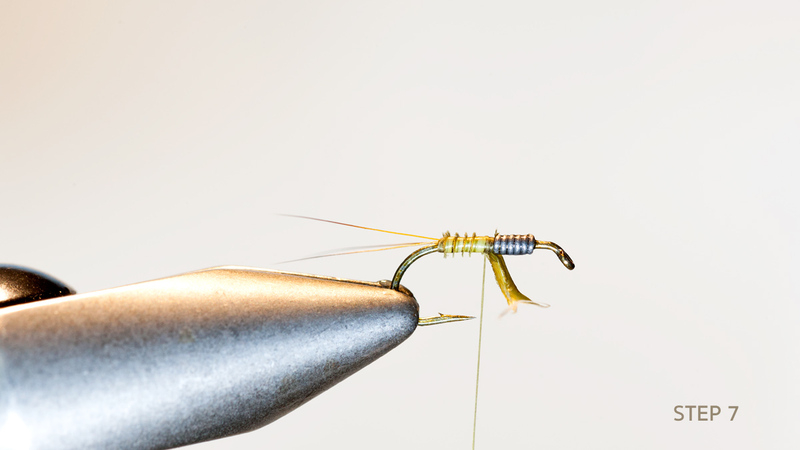 Here I use an olive synthetic semi transparent material from Pro Flyfhisher. Make a sparse and loose dubbing noodle to prepare for dubbing the thorax. Dub the thorax making sure there are 3 millimeter space in front of the eye of the hook. You’ll need that space for the head and to finish off the fly. 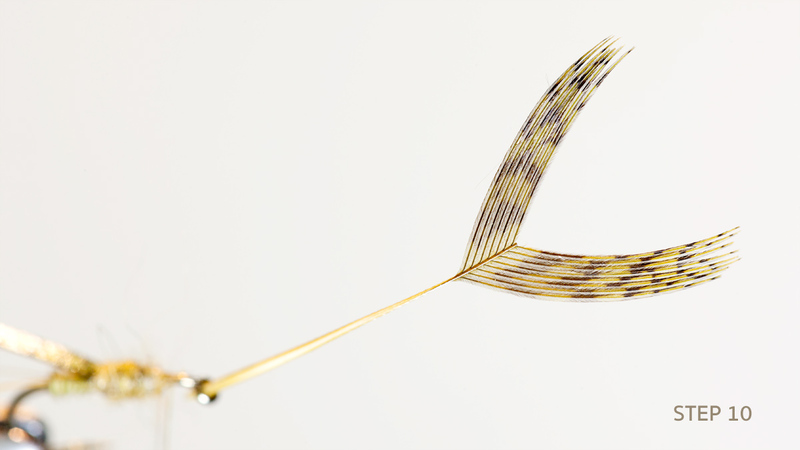 Prepare the legs by removing the tip of an olive Partridge feather. This is not the feather used for this fly. Tie in the Partridge – remember to use loose turns at first. Then adjust the barbules as you’d like them to be. Then tie off with firm wraps. Cut the stem, and tidy up. 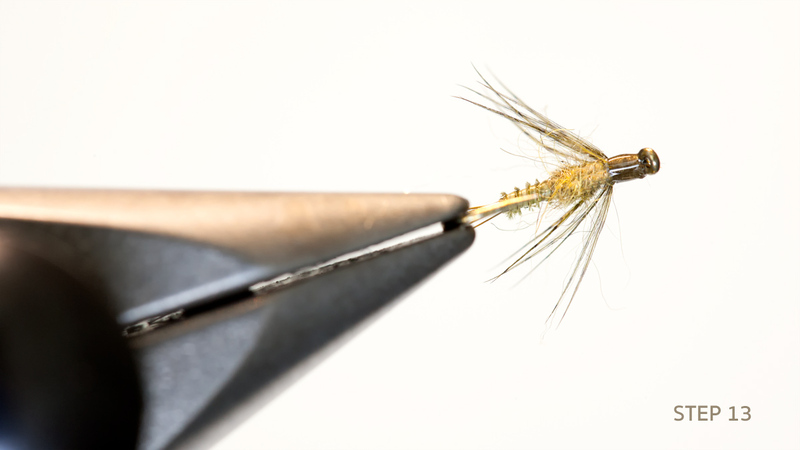 After having tied in the legs, fold the wing case over the thorax. Be careful not to catch the legs of the fly. Tie of just in front of the thorax and the proceed with 3-4 wraps forward. Bend the case back and take a few wraps backwards to build up a head. Finish off with with a whip finisher. At this point it’s time to make the final adjustments to the legs. When everything’s in place and the fly looks just about right, coat the wing case and the head with UV Glue. The Baetis Nymph as seen from below. Fish it on a tapered and relatively short leader. I usually fish these on a 9ft tapered poly leader with a 4x-5X tippet. Remember that these bugs are fantastic swimmers and can be found high in the water. Therefore do not go bananas with the lead.